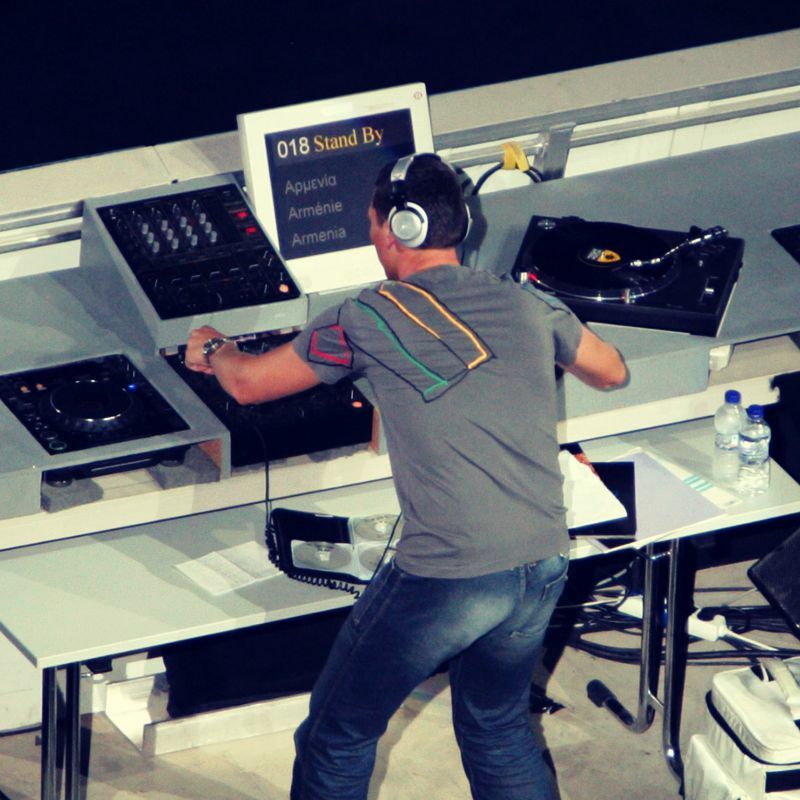 Tiesto performed live at the end of the Volvo Ocean Race 2005-2006 on the river the Maas in Rotterdam. 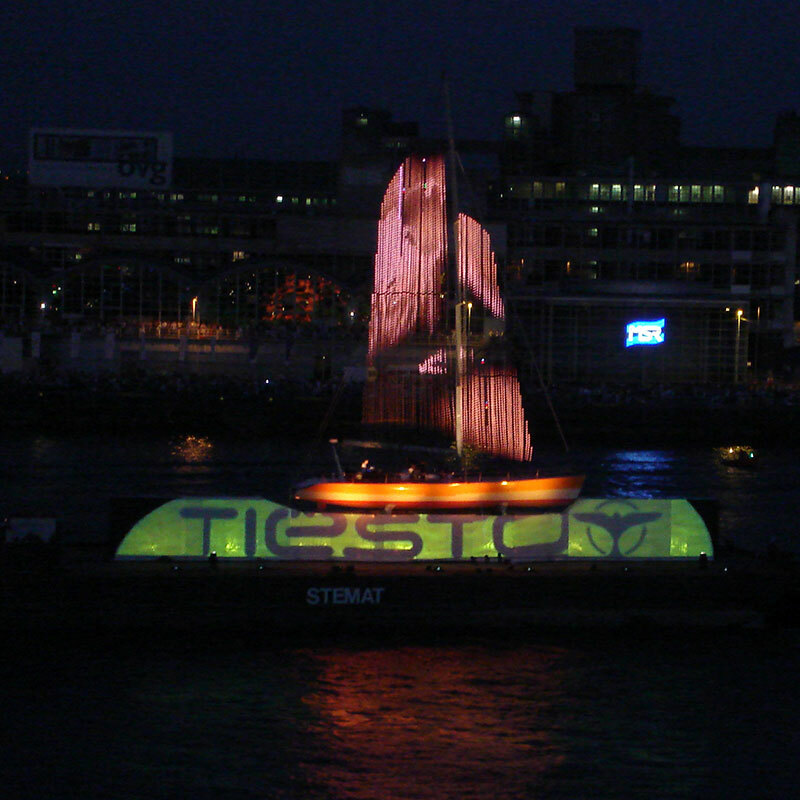 His Dj Booth was on a boat, a big sailing ship, and all the buildings around were used as the visuals of his performance. 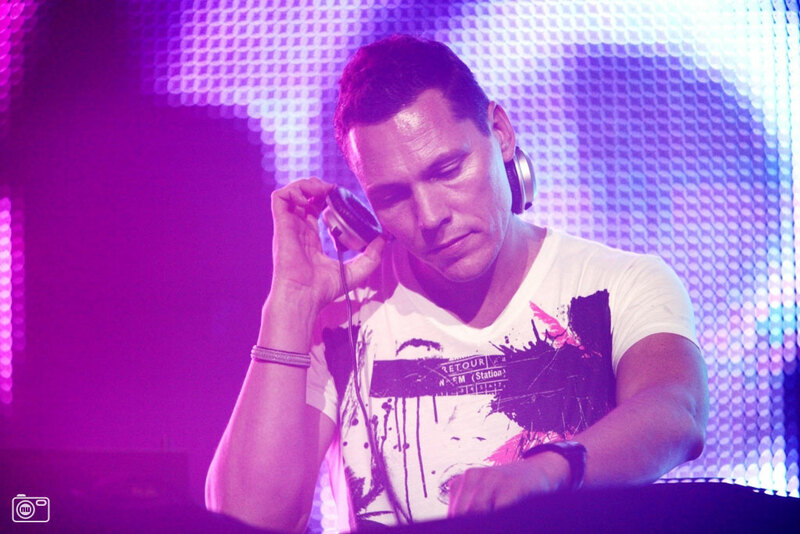 Lots of different lights, flares and fireworks were used to make this performance one of Tiesto’s specials from the latest 10 years. It was a fabulous experience near the Erasmus Bridge in Rotterdam. projections. All these aspects will make this a show Holland has never seen before. Miami and the finish in Kiel.